This collection of Dog Dental Care articles has been curated for you by Freeport Veterinary Hospital. If you would like to talk to a veterinarian, please give us a call at (207) 208-8508. February may be National Pet Dental Health Month, but don’t forget that your pet’s teeth need some love the other 11 months of the year, too! 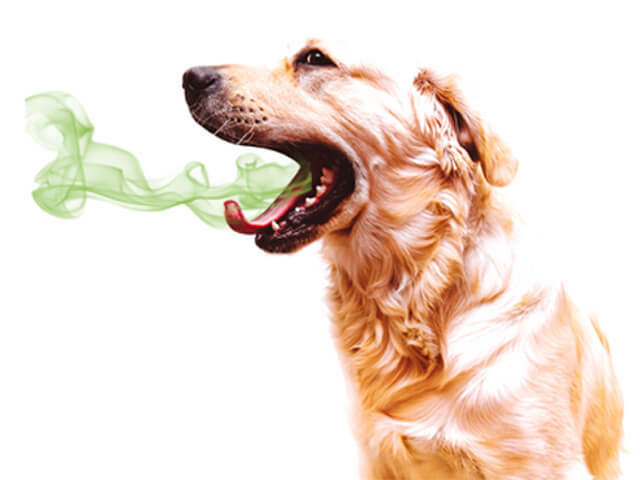 Does your fido or fluffy have bad breath? That offensive odor could signify serious health risks for you beloved pet. To help keep you aware of potential health issues, we've compiled a list of dental and oral complications to look out for. Periodontal disease is the #1 diagnosed problem in dogs and cats. By age 3, 85% of dogs & cats are affected with some level of dental disease.